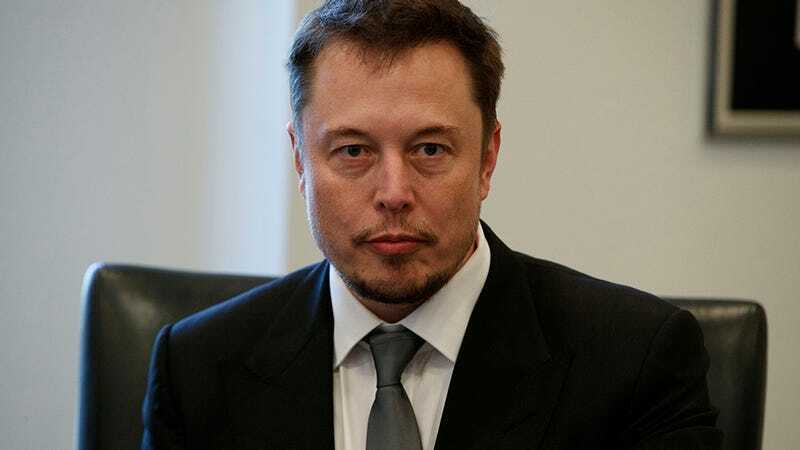 Future Martian President Elon Musk is a businessman and a capitalist, but ostensibly one with his eye on the future. SpaceX is trying to make commercial space travel not only possible but cheap. Tesla seeks to end our over-reliance on gasoline through electric cars. So why is he on Twitter making nice with oil tycoon and secretary of state nominee Rex Tillerson? On the other hand, Musk doesn’t tend to tweet much about politics, and when he does, his stances are moderate—milquetoast, even. He has, however, tweeted in support of climate change, something the new administration—for which Tillerson is likely to be the secretary of state—largely does not believe in. They’re convenient beliefs for these respective magnates to cling to: Tillerson made money from petroleum and wanted to sow distrust in alternatives; Musk profits by public concern over carbon emissions. What’s curious is how rah-rah Musk has become all of a sudden, especially about someone like Tillerson. A “win for his team” might sound innocuous enough, but it frames politics as a battle rather than a legacy of compromises in the public interest. To hear someone who supposedly represents a brighter future guided by science and innovation go to bat for Trump and his cronies is disconcerting to say the least. So what gives, Elon, was this poor phrasing? Or, as an advisor on Trump’s Strategic and Policy Forum, are you just spouting off whatever’s most convenient to your own business interests? We’ve DM’d you, so let us know. Update 1/24/17 8:05pm EST: Elon, who still has not responded to our questions, kept on tweeting, content to die on Tillerson Hill. He started with a two-parter, quoting Tillerson at his confirmation hearing. Sure. That happened. But Tillerson—according to the CSPAN transcript of that hearing—ended that terse answer to an imporant question with this: “No one country will solve this alone.” In other words, abdicating responsibility, as he’s done many, many times in the past. Tillerson has repeatedly downplayed humanity’s impact on climate change and the severity of warming. Musk added this corollary two minutes later, trying very, very hard to find anything Tillerson has said that could be construed as a rational response to a massive global problem. But let’s be clear: saying that the risk of something exists is not the same as saying this exists; actions should be taken doesn’t mean I plan to do something about it. Elon. Buddy. Don’t do this. You have 13 billion dollars and a real shot at being the future of space travel. Set a positive example for the rest of the rich, if not for the sake of your own conscience then for the rest of us.